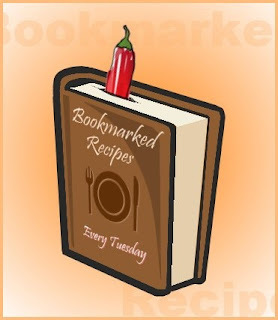 This is the 78th volume of Bookmarked Recipes - Every Tuesday Event. You can find recipes for all other volumes here, where we all with link the blog posts where we posted a recipe that we had Bookmarked from another blog or book or magazine or simply from a TV show written on a blank paper. It would be great to know when you bookmarked it (date), if you would like to share it, not mandatory. For every recipe you make, please post the recipe source (a link if it is a website or picture of the book/magazine, if it is from the print media) along with picture (s). You are NOT ALLOWED to copy/paste the recipe. Please write it in your own words and don't forget to link it to the original blog or website. If you took it from a magazine, we will appreciate a scanned picture of the recipe mentioning the book name specifically than you copy pasting the recipe. We have seen quite a few of copyright issues in last few months in blog world, and this is keeping that in mind. If you tweaked the recipe in any way to suit your needs, please ONLY mention the tweaks. Once you have posted your recipe on your blog, simply link it using "Mr. Linky" below. Linking will open only after 12 am on 31st January 2012 (India Time) and will stay open till end of the day (US Pacific Time). Nice Event.Bookmarking for reference.Luv to participate Dear. hey 1st time here..u have anice space........this very very interesting priya..